Remodeling your home is a huge project, whether you’re simply redoing a bathroom or you’re overhauling the entire property. Surprises often crop up, and expenses tend to accumulate more quickly than you could ever expect. That’s why it’s important to give yourself every possible advantage and edge in the process so you don’t go over schedule and over budget. 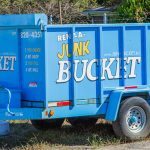 One thing that many homeowners have discovered as a life saver in the remodeling process is dumpster rental. Having a dumpster on site, as it turns out, can make the remodel much easier than it would be otherwise. When you remodel your home, a huge amount of debris is produced, and it all needs to be disposed of the right way. When you remodel your kitchen, for example, you might need to get rid of old countertops and cabinets. If you’re working on your bathroom, you may have to find a way to dispose of a broken sink or a toilet that’s seen better days. 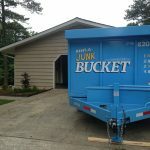 And if you’re adding a room or taking on a major remodeling or construction project, you’re going to be left with tons — perhaps literally — of debris and materials that you would have trouble disposing of properly without the help of a dumpster rental. Imagine having a dumpster conveniently parked next to the site of your remodeling. 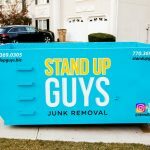 Disposal is quick, simple and easy thanks to what we call the Stand Up Guys “junk bucket.” These amazing dumpsters are big and durable, so you’re sure to have enough room to handle the materials you need to remove. 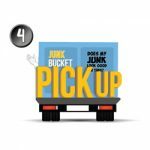 The best part is that our crew of junk removal experts will take the junk bucket away when it’s full. All you have to do is wave goodbye as our team drives away with the junk bucket and your remodeling debris. 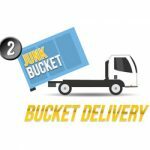 Junk Bucket Rental Is Easy! 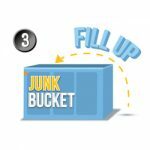 Does it seem like the junk bucket is the way to go for your next remodeling project? Renting one is affordable and easy. Just call Stand Up Guys today at (615) 647-0634 or (770) 369-0305 to find out how you can get yours! 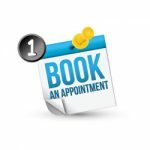 PreviousDumpster Rental In Atlanta	NextNeed to Know Who to Call for Dumpster Rental?